Size: 60m stretch along prom. Each disc 1.2m diameter. Materials: Concrete, bronze, stainless steel, crushed glass and resin. Description: An arc of 12 concrete beach ripple castings suggest phases of the moon. 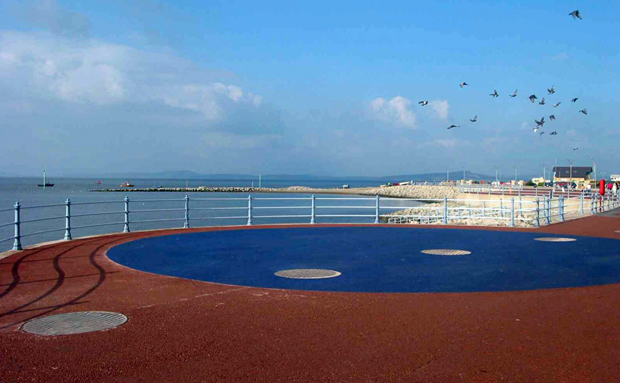 They cross through a 14m diameter blue resin surface. 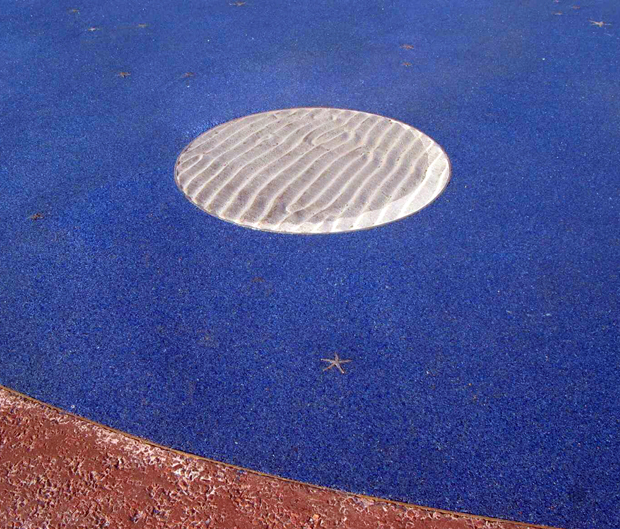 Embedded in this are many bronze and stainless steel castings of starfish that may suggest a night sky.